The prevention of natural risks, the management of water resources and the impact of flows on structures and grounds are essential socio-economics questions nowadays. The modeling and the development of reliable and efficient numerical methods is mandatory to understand such problems. 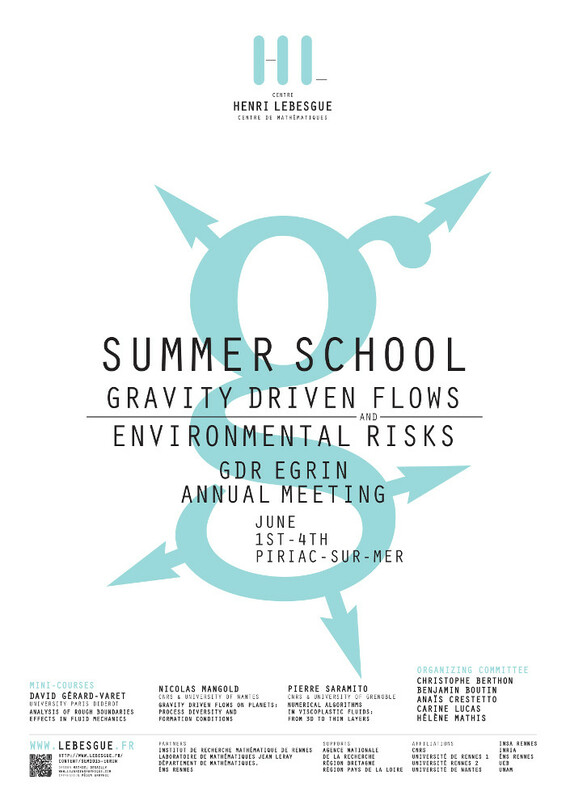 The interdisciplinary GdR EGRIN aims to gather researchers around these topics in order to enforce collaborations. This meeting is the third EGRIN school. Informations about the GdR and previous editions are available here. A call for contributions will be launched in March 2015.